You are here: Home / Cars / We Sold the Car – Now What? 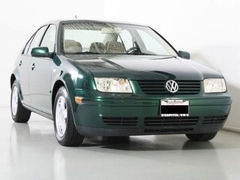 Great news – we finally sold our Jetta Through Craigslist! As you know, we bought a family car last year and was debating back and forth over which car to sell– my old Jetta or my husband’s Celica. After chatting up with my husband and seeing how much he’d really like to keep his Celica, we decided to put the car up for sale. It took a little over a week to sell the car with Craigslist. We had 6 people interested enough to contact us about the car. Most though flaked out when it came time to come over for a test drive. However we still managed to sell the car for only $100 less than I planned. Immediately after selling the car, I went to the bank to deposit the money. I then set up a transfer into a high interest savings account for the time being. I figured that I might as well earn a little bit of interest while we decide what to do. Pay down the student loan: My first choice right now is to use most or all of the money to go ahead and pay down the student loan. The advantage with this choice is that we lower our overall debt, but as far as our current cash flow goes, there would be no change. It’s a relatively safe choice. Save for possibly selling the house: We had mentioned trying to sell our townhouse some time this year, but there are no definite plans. Using the car money would boost our savings painlessly, but then again, do we want to put money in savings for a maybe situation? Invest the money: We could also use this money to top off an IRA for the 2012 calender year before we file our taxes. Investing the money would give us higher returns in the long run, but could that money be better used to help us now with the debt? We’ll have to sit down and talk about this some time this week and hopefully we’ll have a decision made in about a week or so. until then, I’d like to hear from you. If you were in our shoes, what would you do?